How to Create Floors that Flow – Mees Distributors, Inc. If you are redoing the flooring in your home, natural stone or tile may be the way for you to go. These stunning materials not only look great but are easy to clean as well, so you can save time on cleaning your home and spend more time with your family. 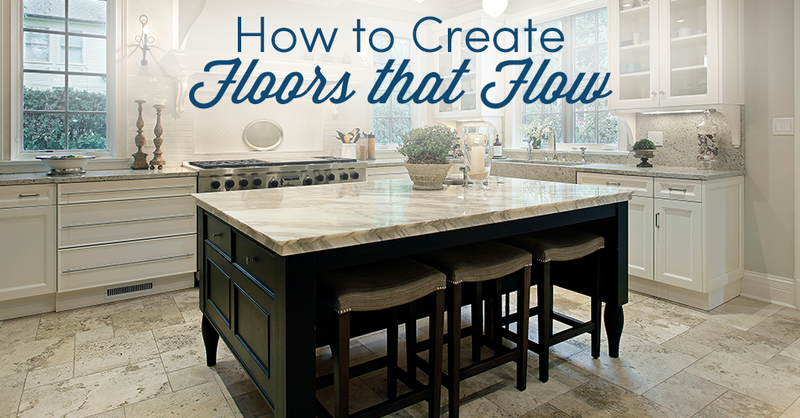 Your floors are so much more than just the surface you walk on, so follow these simple tips to create a stunning design that you are sure to love for many years to come. You’ll likely want your floors to be somewhat neutral so that you can create a decorative scheme with the rest of your furnishings and decor. However, keep in mind that neutral doesn’t have to mean plain. Today’s modern tiles come in all kinds of colors, patterns and textures, so play around with these when creating your look. You can even mix multiple styles of natural stone and tile together. Just keep everything in the same color family so that it all looks cohesive. You can also use different patterns to break up the space between rooms, like one style for your kitchen and another for your dining room. In rooms that receive a lot of moisture, like your kitchen and bathroom, you can use tile on your walls as well. To avoid looking too clinical, keep the tiles on your wall on the smaller side, and make sure that they complement those on the floor. The ones on your walls should be simple in style so that the look isn’t overwhelming. A walk-in shower can be another great addition to your home and will give you plenty of wall space to work with. The natural look of stone will instill a sense of peace and harmony with nature while you are getting ready in the mornings. If you already have hardwood floors in your home, they can combine with tile or natural stone well. Be sure to choose a contrasting color to create more visual interest and clearly show where the wood stops and the stone begins. This is a great way to create a rustic style aesthetic in your home. Here at Mees Distributors, we have a wide range of natural stone and tiles for you to choose from. Our associates are always up on all of the top trends in the industry, so we can help you to create the perfect look for your home. We will be happy to answer your questions and offer our advice and guidance to help you make your final decision. Stop by our showroom to see what we have in stock for your remodel or new build. We would love to help you create your dream home!